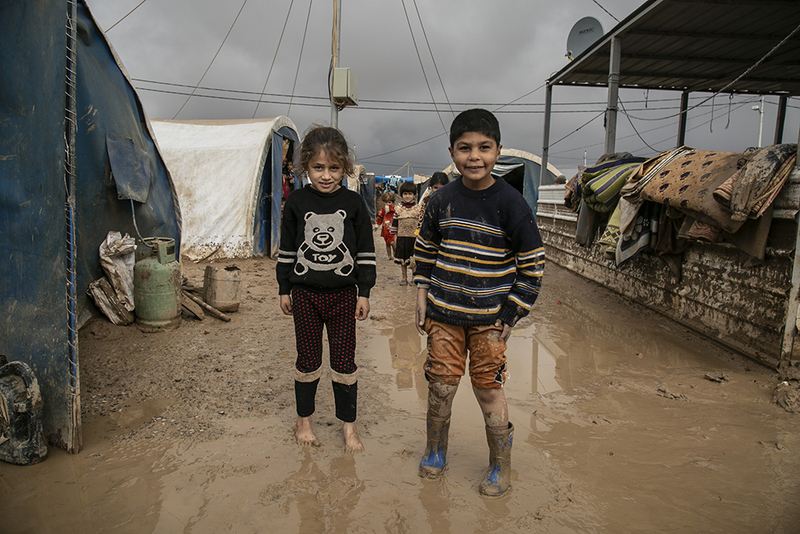 Erbil – Large-scale flooding beginning on the morning of Friday (23/11) has wreaked havoc across Iraq, killing several people and causing widespread damage to homes, infrastructure and agriculture, and worsening the living conditions of internally displaced persons (IDPs). In Ninewa governorate, Qayarrah Airstrip and Jeddah IDP camps were particularly affected by the flooding. 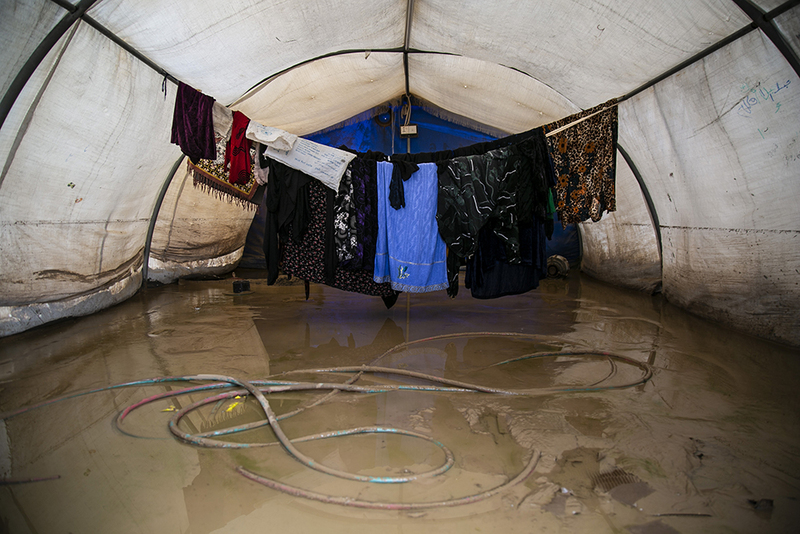 Among the approximately 7,500 families residing in Qayarrah Airstrip Camp, 2,392 tents were completely flooded forcing hundreds of households to take refuge in the IOM health clinic and other communal areas. 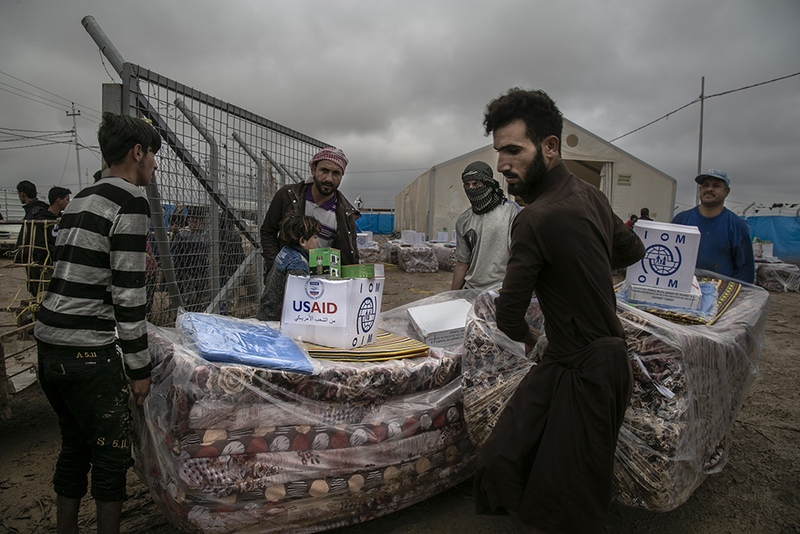 The health clinic in Qayarrah Airstrip Camp hosted nearly 300 individuals, providing IDPs with dry blankets, heaters and emergency health care services. The IOM ambulance transported ten individuals in need of medical assistance but unable to reach the clinic.